Connect RunCam 5 to your PC with the mini USB cable and make sure a MicroSD card is inserted in the camera. v1.0, The init version of RunCam 5. 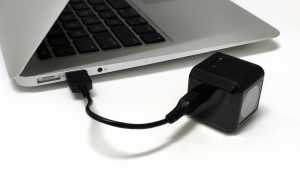 1 Connect RunCam 5 to your PC with the mini USB cable and make sure a MicroSD card is inserted in the camera. 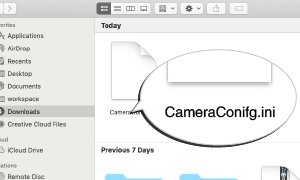 2 Locate and load CameraConfig.ini file (less than 0.4KB) under root directory in MicroSD card of the camera. We require this file to indentify your current firmware version. Please tell us what you think. Any feedback is highly appreciated! ©Copyright 2019 RunCam®, Camera2000 Limited. Firmware file named RUNCAM5.BRN will be downloaded to your PC. Copy the file to the root directory of the MicroSD card when download completes. The firmware will be updated when you turn on the camera. 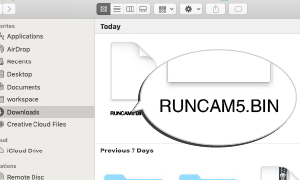 Note: If the file name is changed by the browser, correct it to RUNCAM5.BRN after copying it into the MicroSD card.